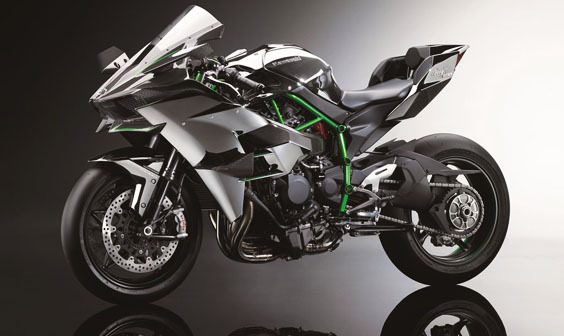 2015 Kawasaki Ninja H2R | Throttle Life! 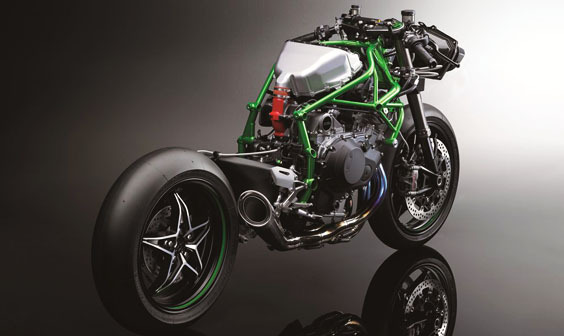 One look at the 2015 Kawasaki Ninja H2R and you can tell this isn’t your ordinary supersport bike. Aggressive chiseled lines complimented by a menacing grille all designed by Kawasaki’s Aerospace Company warn of the wickedness lurking within, a 300 horsepower supercharged powerplant. To achieve such power, engineers solicited the assistance of other companies under the Kawasaki Heavy Industries (KHI Group) umbrella such as the Gas Turbine & Machinery Company, Aerospace Company and the Corporate Technology Division who played a part in designing the supercharger. Anytime an Aerospace and Gas & Turbine companies are involved in a project you know the end results will be far from ordinary. 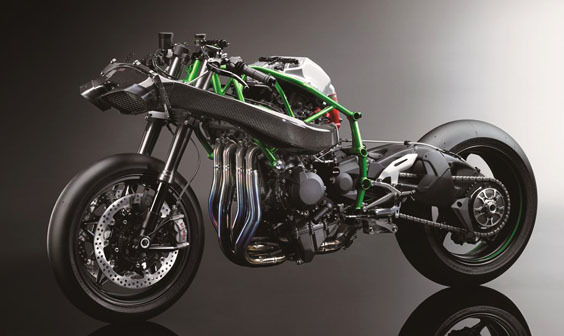 The end result is a Ninja so powerful it may not be ridden on public roads and intended for experienced riders only, but will be a production motorcycle fitted with slicks for a track-ready experience. 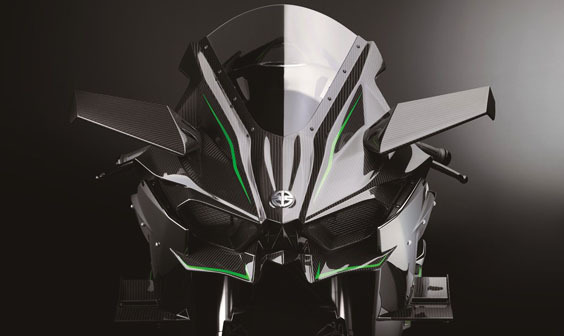 Throughout Kawasaki’s official H2R release, the phrase “ultra-high speed” is used repeatedly. To handle the ultra-high speed a new trellis frame with a shorter wheel-base was designed for stability rather than going with a longer wheel base typically used for more stability. Throttle Life is a non-profit media outlet offering print, web and video content on all disciplines of this life we love and live, the Throttle Life!